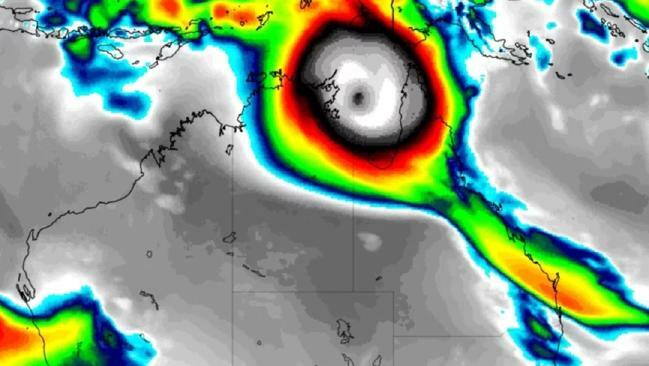 A LEADING amateur forecaster is predicting a significant cyclone will develop which could "heavily impact" Queensland and the Northern Territory. In its latest prediction, Higgins Storm Chasing said a "a majority of global models" were showing a cyclone could develop. Higgins said on Tuesday a monsoon trough extended across the top of Australia through the Arafura Sea, Northern Gulf of Carpentaria and into the northern Coral Sea. "A tropical low is located north of Thursday Island along the trough which is forecast to move west into the Arafura Sea during the next few days," the forecast stated. 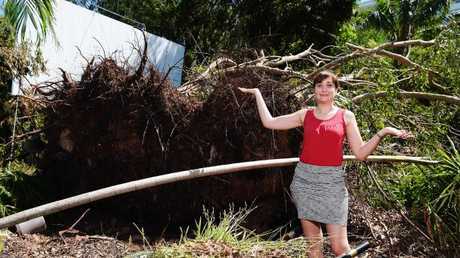 Bureau of Meteorology forecaster Julian de Morton said there was a low to the north of the Gulf of Carpentaria which showed signs of intensifying. 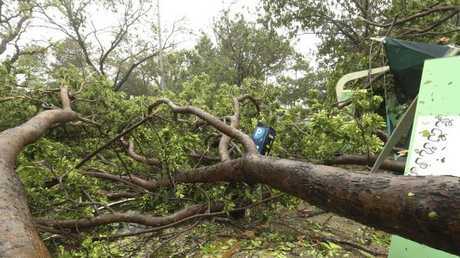 "It could potentially become a tropical cyclone by Friday and possibly even earlier," he said. "At the moment our current forecast is some point on Friday. "It will probably cross somewhere between the Queensland and Northern Territory border on the weekend." He said pinpointing the location where it would cross was difficult. He said towns on the east coast of Queensland, including Townsville and Cairns, would not likely be affected by the system. "There is a slight chance it might track a bit closer to the peninsular." He said the cyclone outlook for the Coral Sea was "very low" for the next three days. That means there is less than 5 per cent chance of a cyclone developing in the Coral Sea. A system is being monitored far to the east between Queensland and Fiji. The forecast comes as fisaster assistance was made available for people affected by Cyclone Marcus. NT Chief Minister Michael Gunner said the immediate relief payment of $250 was available for families which had been without power for more than 72 hours. 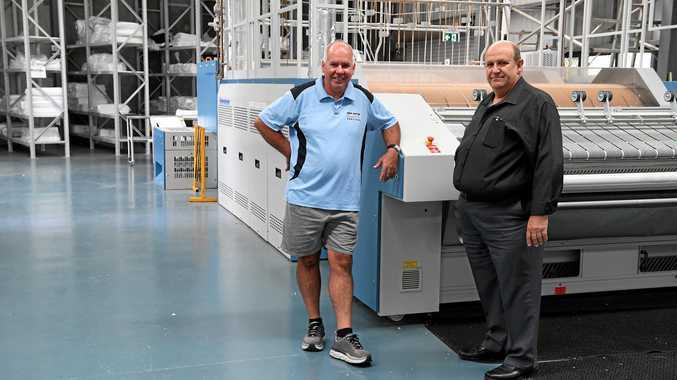 "This $250 relief payment is to assist with the costs associated with being without power and can be applied for from today directly from the relief centres," Mr Gunner said. "We have now opened five relief centres for residents to apply for immediate payments if they are still without power. "People whose houses have been damaged may also be eligible for assistance to replace essential household contents and undertake essential household repairs. "Further assistance for the Territory through the NDRRA is being determined, as damage assessments and cost estimates become available in coming days."